When you run out of things to wear or you simply want to switch things up, why don’t you check out the men’s section? That’s what I did! My top, cap and belt are all for men. The first 2–I got while shopping at Topman. The belt, on the other hand, I stole from my brother. Har har! He’ll never know. He doesn’t read my blog anyway. Pfft! Sometimes, you really have to pay the men’s section a visit. You’ll never know what you’ll find! By the way, speaking of men, who wants to watch a musical about them? My sister and her friends recently bought one night of the hit musical, The Full Monty. They’re selling tickets for the April 20 show which is one day before my birthday. *cough*cough* If you enjoyed Magic Mike, then maybe you’ll enjoy this. Hint: Male strippers! The Full Monty is a musical with a book written by Terrence McNally and music & lyrics by David Yazbek. You might’ve already seen the movie version of this way way back in the 90s. It’s extremely popular especially in the UK and enjoyed both critical and commercial success. The Full Monty is about 6 unemployed male steelworkers based in Buffalo, New York, who upon seeing how much their wives enjoy watching male strippers during their “Girls’ Night Out,” decided to make some quick cash by becoming male strippers themselves. Now before you go on thinking that this is some dirty dirty dirty musical, it’s really not. (Oops! Did I shatter your Magic Mike dreams? Haha!) It’s actually a heartwarming and charmingly funny musical that focuses on the characters finding their renewed self-esteem and realizing the importance of friendship and the ability to have fun. You’ll see the guys work through their fears, self-consciousness, feelings of worthlessness and anxieties over everything from being overweight to child custody, bigotry to being gay, and how they’ll come to discover that not only are they stronger as a group, but that the strength they find in each other gives them the individual courage to face their demons and overcome them. Of course, if you’re not interested in these, then just focus on the part where I mentioned that there are male strippers. LOL! The Full Monty stars Mark Bautista, OJ Mariano, Arnel Ignacio, Jamie Wilson, Nino Alejandro, Marco Sison, Sitti and Ciara Sotto. You can find ticket info here and contact my sister and her team at +639204602761 or fullmonty.apr20night@gmail.com to purchase tickets. ASTIG!!! :) Your so cool in men’s cloth Miss Cams. Luggage in Nano :) Thanks Monette! Oh wow… this is something completely new from you. Never thought I’d see you pull something like this. Very cute!! Love the jacket! 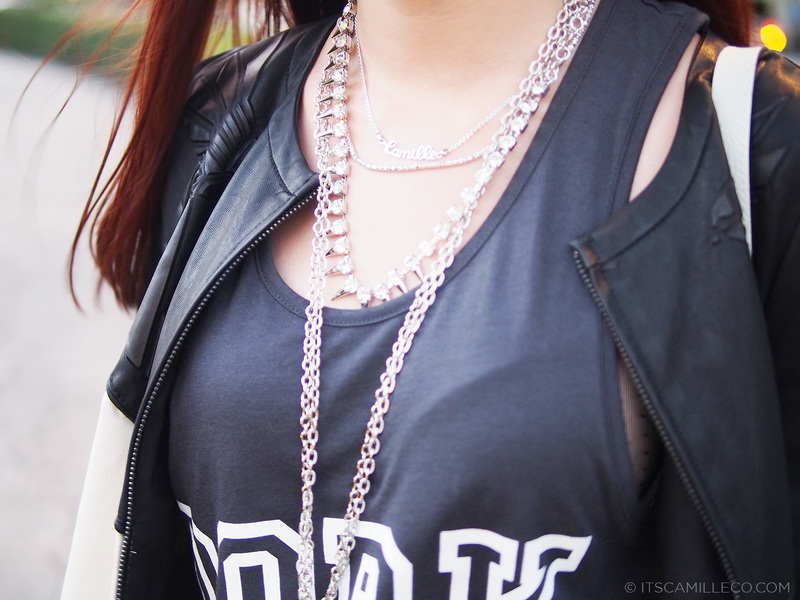 you can really rock any outfit!! 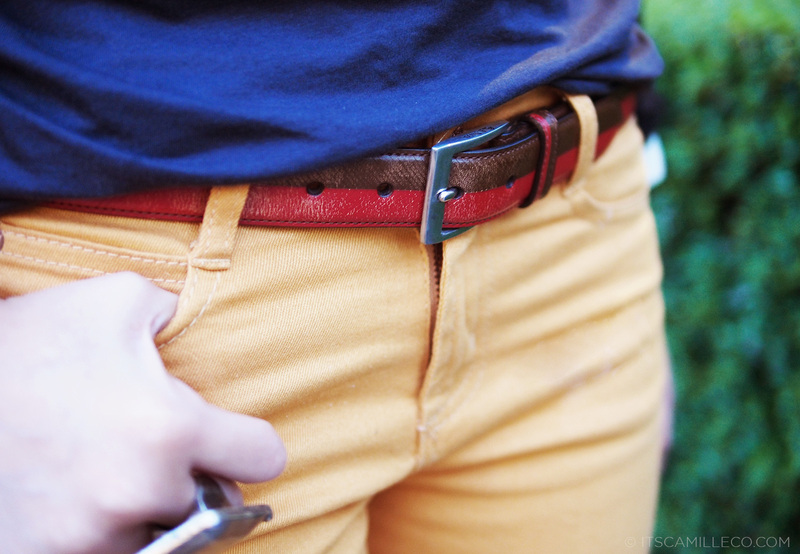 Love the top, and the mustard colour jeans are amazing, I must buy them!! Love the pants! Looking fab as always. Thanks Jeline! They really are comfy! Very cute look!! I really love every single piece! I agree! :) Thanks Khayrin! I love that leather jacket! And wearing stuff from Men’s section is so interesting, sometimes we girls can find some gems there, like the perfect giant white blouse for lazy days! I love men stuffs too :) By the way this is your birthday month! :) Happy Birthday in advance to my favorite blogger! I wanna try this cool outfit minus the leather jacket because of the weather. hey…i love the color of your jeans…..used to stick around with black but you changed my mind …Definitely gonna try it,,,,,,,,! 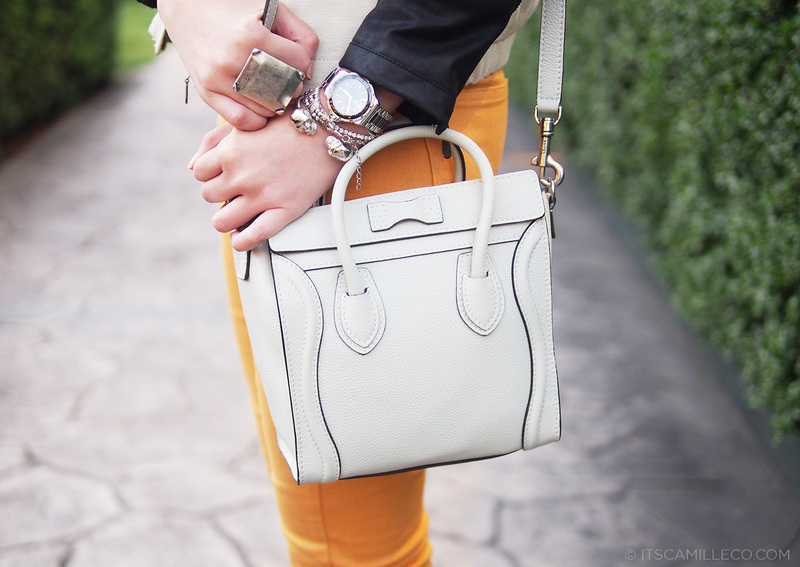 I really looove your celine bag! Can you tell me where you bought it, as well as your olive green one too? My sister and I are in search of them. Thanks! Elder brother. I’m sure he won’t. I’m stealth like that! Haha! :) Thanks Christine! Thank you! I’m a natural at it haha!